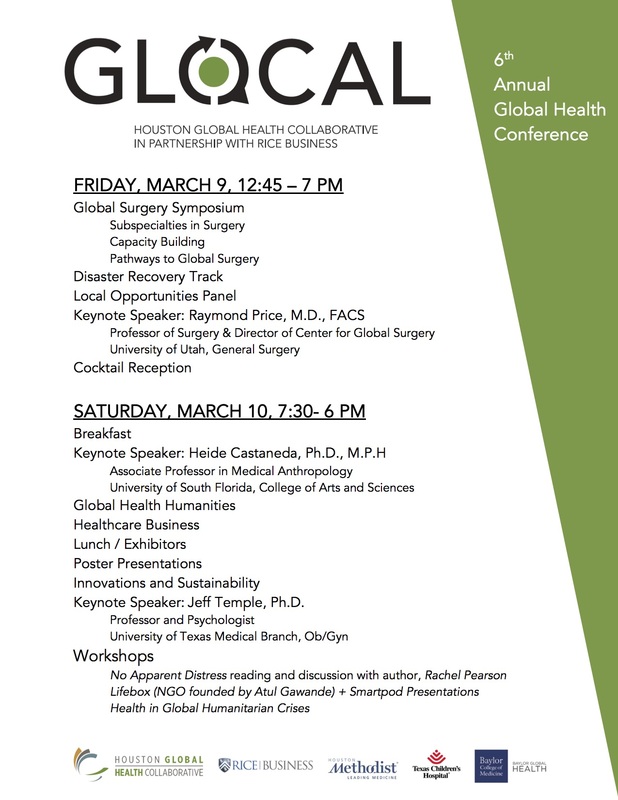 The Houston Global Health Collaborative (HGHC) is proud to announce the 2018 GLOCAL Conference in partnership with Rice Business. This meeting is an annual gathering of interdisciplinary professionals with a passion for global health innovation and advancement. Join us for a full two-day extravanganza!